When you are in the market for a new floor, there are really a lot of options available. 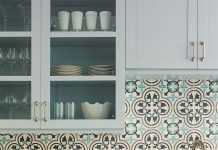 Cement tiles are one of those options. 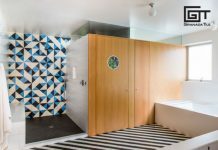 Tile is widely adaptable and can be used in many settings. You have utilized tile in the past for your shower and backsplash, but now consider tile as an option when replacing a floor. We will tell you why. While no type of flooring is completely maintenance free, tile flooring is relatively easy to maintain. Every four years or so you may want to apply a sealant, but between applications all you really need is a mop and broom. You approach cleaning tile just like any other surface, a little soap and water and perhaps some elbow grease and your tile will look great for years. Tile will adapt to any type of room or look. That is, use your imagination and creativity when installing tile and you will have a look that is unique. If you have ever traveled abroad, it is not uncommon to see houses tiled wall-wall. Tile remains one of the most cost-effective flooring surfaces on today’s market. Take into consideration the initial cost and the longevity and it is clear that tile offers the most for your money. When you choose other materials for flooring, you are often limited as what they have to offer. Tile enables you to be as creative and unique as possible. Keep in mind that you aren’t just limited to flooring, backsplashes, porticos and countertops can also pop with charm and character. Why don’t you just visit our website and begin that fantastic journey that will end with fantastic floors in your home.